I used to shy away from wearing a bold color head to toe, but since I've been embracing the bright color trend, I decided to take it to the next level and go all out with a bold red look! I love red because it's the perfect shade no matter what time of year it is. 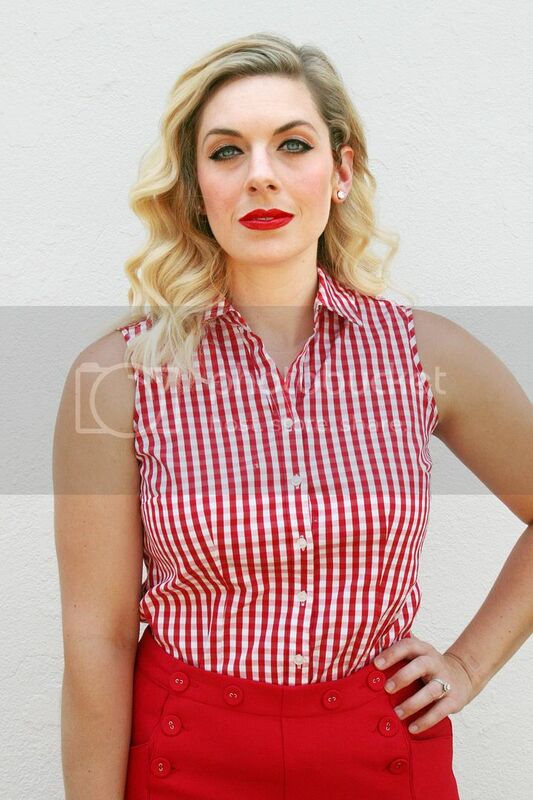 And who doesn't love a bold red lip? 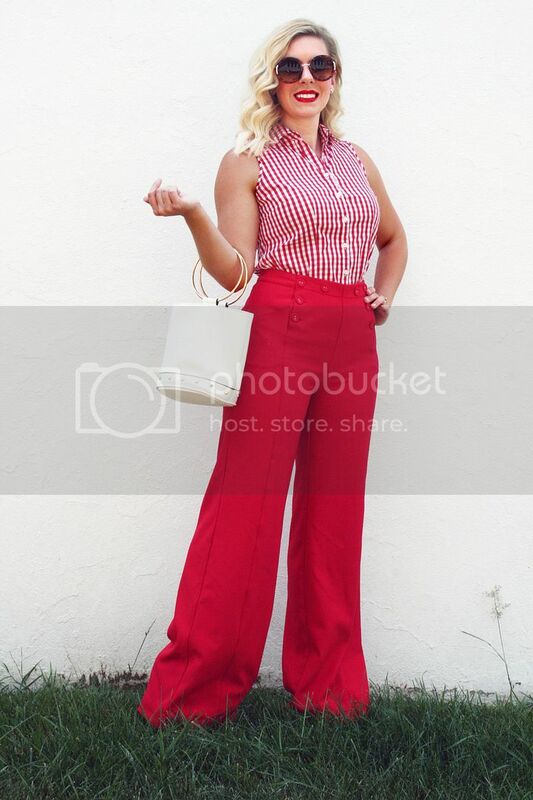 Also, these red trousers are currently on sale for less than $40! You can't beat that price for something you can wear all year round. 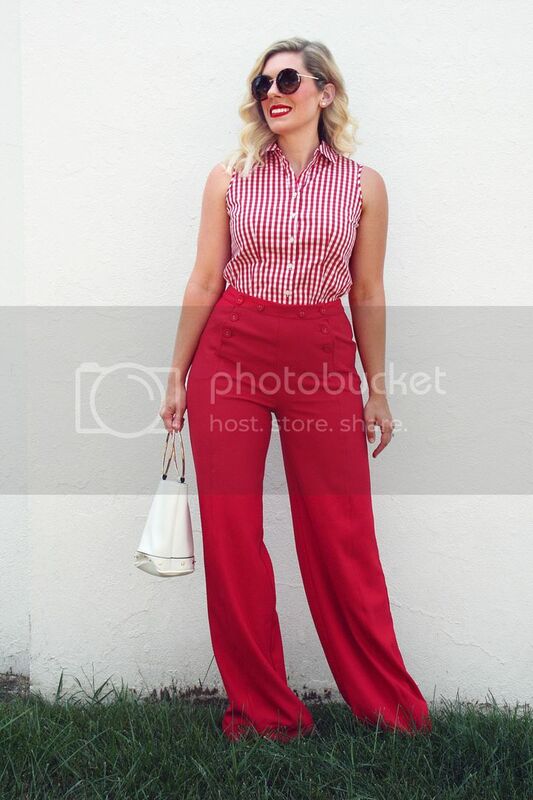 I can totally see pairing these pants with a festive top come holiday time. 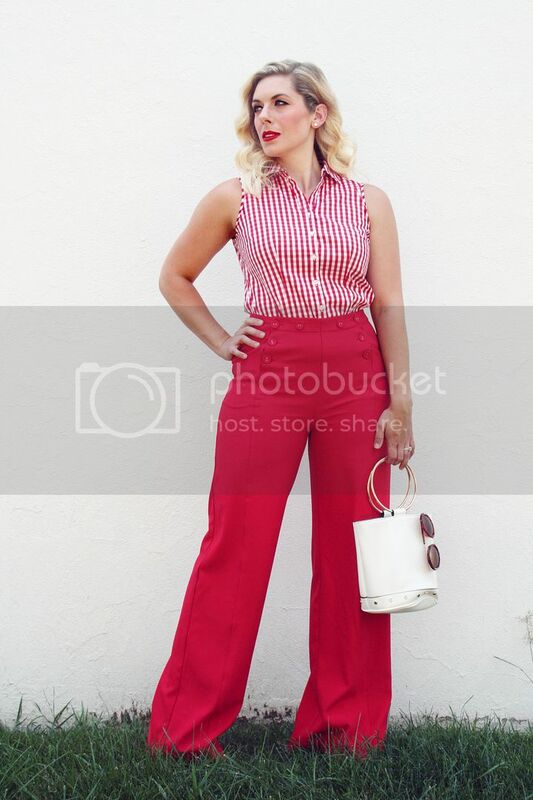 Since it's summer and we're currently sweating it out in the sweltering heat, I paired my red sailor pants with a red gingham sleeveless top for a very vintage look. I kept the vintage vibes going with round sunnies and a bold lip. Would you try an all red look? Or how about another bold color?